IF it's as described it'll make a nice project for someone with a great little car at the end of it which could realistically be enthusiastically everydayed. I would worry that the mileage might not be correct. Its possible that the clutch has jammed, not too uncommon for a car laid up for so long. Id also suggest that these cars rotted to **** and a subframe at 33K isn't wildly ridiculous if those 33 thousand miles were travelled in all weathers. Id actually be more concerned about the possible hidden rot underneath any underseal. At that age you do the clutch anyway surley? besides, its probably been pottered about in and been slipped most of its life. Its all very well to thing 'ohhh 33k', but at this age most things would need replacing to make it safe. imagine what the brakes are like. 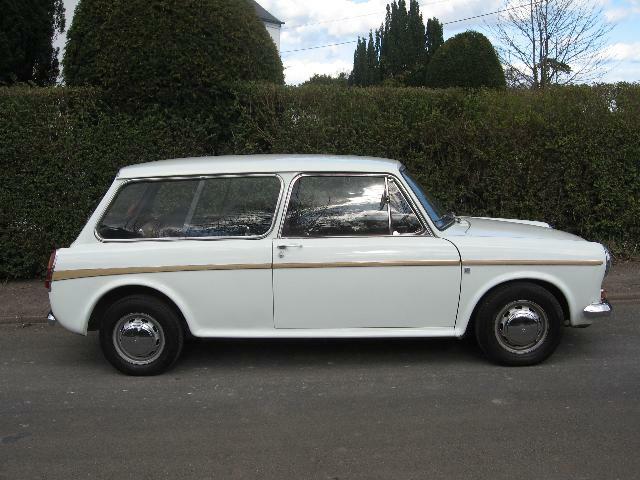 My mum had an 1100 when it was about 10 years old, she bought it because it was shiney. The reg was JOK---E. My dad saw it a week after she got it and started poking holes in it. Lots of holes, so they scrapped it. And having bought a 24000 mile mini clubman estate myself when it was 20 years old I wouldn't personaly expect very much of it to be any good. Make a very nice restoration tho. Very very nice. If it were a 2 dr id be on it like a tramp on chips. Did they ever produce 2 door GT's? No 2 door GTs that I'm aware of. Plenty of 2 door 1300s though. I had a 'black tulip' one with red vinyl interior. Quite a combo on a sunny day! I would have said Of course they came in 2dr form you silly wotsit, had i not just googled it, and it would seem that they didnt Which i find slightly odd as they did 2dr estates, and 2dr MG's. But not, it appears, GTs. So now you see that the entire ЯR readership would be on a 2 door GT with equally alarming alacrity as it would be a one-off! I don't know why they didn't produce the GT with the 2 door option but they seem to have aimed squarely at the wannabee racing driver with a growing family. I'm with you over the AD016 2-door versions desirability; lighter, more rigid, marginally faster and more handsome. They are now pretty rare but there was a 'garage' find example for sale recently, I forget which site. Interesting, rare classic but usable & practical everyday potential. Nope, I've had my eyes open but nothing promising. There's a ropey (red) one on with a scrappy that keeps popping up on the 'Car & Classic' site - needs full resto & is overpriced. It may have sold. If I see it again I'll flag it up for you, I think it was also on ebay. Looked fairly solid but very scruffy / abused / neglected and I think he may have said the engine was seized. I don't recall what he was asking for the car but it was more than it was worth in that condition. Nothing wrong with these as a daily. 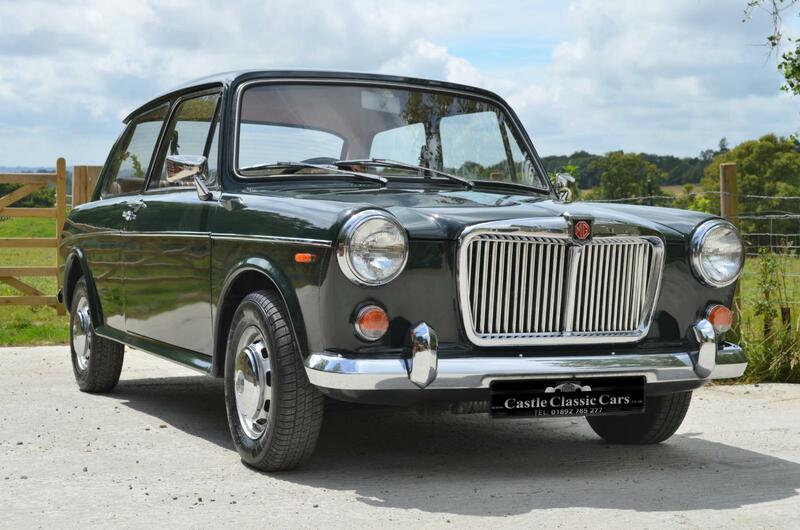 I used a '75 Austin 1300 as my daily from the late '80s through to '95, and a '71 Wolseley 1300 from 2006 to 2014. Used them both for light towing as required too. I'd still be dailying the Wolseley if I could afford the welding it needs. Yes.. this is well over priced and a total money pit! 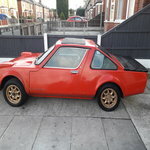 Rotten and everything will be seized.. not ran for over 30 years etc.. he is dreaming with his price.. its been relisted so never sold the fitst time on ebay.... wonder why! ? He's re-listed at same price but with 'best offer'. I've just offered him £50, see if he takes the hint! Back on again.. 3rd time lucky?